Insurance Coverage for Oil & Gas Service Industries. Including Pipeline Pigging, Valve Repairs, Pump Repairs, Pipe Fitting, Welding. General Liability, Errors & Omissions, Liquor Liability. We help minimize risk for Wedding Facilities. Business Insurance solutions with flexible coverage, designed specifically for you. Protect your business against property loss, liability claims, business auto claims, and employee injuries with our industry specific expertise. Oil & Gas and Energy, Medical and Health Care, Manufacturing, Commercial Real Estate, Nutraceuticals, Construction, Roofers, Trucking, Hospitality, Artisan Contractors, and Multi-tenant facilities, are just a few of our Business Insurance industry specific programs. We understand business and business risks. As a result, our Safety Team and Contract Review departments work closely to mitigate risk. In the unfortunate event of a claim, our claims team works closely with the carrier to expedite the handling process and achieve a speedy resolution. Our extensive experience allows us to analyze businesses and investment opportunities. 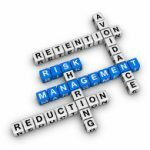 We isolate specific risks exposures, and create business insurance risk management programs specific to our client’s operation. Our agency represents a number of insurance companies; allowing us to customize business liability coverage. As a result, our familiarity with insurance carriers, is crucial to placement of a client’s risk. Oil & Gas consultants providing Safety & Inspection services, Plant Shut Down and Start up, Risk Based Integrity programs, and other consultancies, assume increased risks with contractual obligations. We place Consultants with carriers specific to their operations, to provide comprehensive coverage and meet IS Networld & PICS requirements. Insurance experts for GC and Contractors, including land clearing, land grading, excavation, public utility, power grid construction, electrical, structural, fire suppression sprinklers. Includes Liability, Builders Risk, Errors & Omissions, Surety Bonds, Pollution. Insurance specific to General Contractors and Sub Contractors, including OCP, OCIP, & WRAP. Trucking Insurance, with or without authority. Tow trucks, 18 wheelers, dump trucks, commercial fleet vehicles, flatbed trucks, delivery trucks, trailer interchange. Long Haul, Intermediate, and Local Trucking. Primary Liability, Motor Truck Cargo, Non Trucking Liability, Bobtail Liability, Unladen Liability, Physical Damage and Passenger Bodily Injury. Contractors working on, around, or servicing and repairing Oil & Gas equipment, have specific exposures which might not be covered under a standard insurance policy. This includes Errors & Omissions, Pollution Coverage, Inland Marine, Bailees Coverage, Equipment Rental, Riggers Liability and low Work Comp Experience Modifiers and OSHA Safety Handbooks. Errors & Omission Insurance for Health Care professionals, including Doctors, Nurses, Nurse Practitioners and other healthcare professionals. Includes HIPPA violation coverage, Sexual Molestation, Data Breach, Billing Errors & Omissions, Employment Practices Liability & Equipment Breakdown coverage for expensive scanning and laboratory equipment. Wedding and banquet facilities have a wide range of exposures, from slip and fall, food illnesses, liquor, event planning, floral & photography, and more. Insurance carriers do not offer comprehensive package policies for Wedding Halls due to historically high claims. Our expertise helps put affordable a la carte coverages in place to protect the business against such claims. Legal cannabis insurance is a relatively new entrant into the insurance arena, with the gradual legalization of marijuana. Also associated with this business are Vape and E-Juice products. We offer General Liability, Product Liability, Property Insurance for growers, distributors, transporters, and cannabis dispensaries. Also product liability for e-cigs and batteries. Insurance for Sign companies includes General Liability, Property Coverage, Bailee Care Custody & Control, Inland Marine, Riggers Liability, Workers Compensation, Pollution Liability, Errors & Omission. Auto and Fleet insurance includes truck mounted cranes, garage keepers liability for vehicle wraps. Coverage for Trade Mark and Copyright infringement claims. Skilled artisan contractors such as plumbers, electricians, hvac contractors, tree surgeons, masons, carpentry, dry wall installers, painters, need to carry Artisan Liability insurance to cover mistakes or damages due to craftsmanship errors. Our carriers provide broad forms to cover the Contractor, and also dovetail into a GC’s contractual requirements. Work place risk assessment and in-house safety & loss control services is standard for our clients. We offer proactive loss prevention inspections and safety training to increase awareness and develop real-world safety and loss prevention solutions, specific to your company,based on our assessment of your industry, your historical loss trends, operations, worksite hazards, safety culture, underwriting expectations and regulatory intervention. Our work in the areas of accident prevention, regulatory compliance and carrier service coordination helps reduce the frequency and severity of claims and demonstrate your commitment to loss control, thereby helping to reduce the price you pay for insurance coverage. Your custom service plan is implemented with an annual timeline that includes a mix of scheduled activities designed around your specific needs. In July 2015, Commercial Global Insurance Services (CGIS) merged operations with Higginbotham Insurance. Our offices have relocated to 306 W Parkwood Avenue, Friendswood, TX 77546. Higginbotham is comprised of offices and subsidiaries located all across Texas – all offering the same solutions that differentiate Higginbotham from competitors. The merger with Higginbotham greatly expands our product offering, and provides a higher degree of client support services. We remain a full-service independent commercial insurance agency providing consultative, brokerage and risk management services to businesses and investors. We operate on a local, national, and international level to protect our client’s financial interests and business liability. At CGIS/Higginbotham we are dedicated to assisting our clients with a full range of risk management and loss mitigation services and full service commercial insurance brokerage.